Every month a select group of developer partners make their titles available in both our Treo Software Store and Centro Software Store at significantly reduced prices. On this occasion, we have a selection of 25 titles with discounts ranging from 50% to 75% and many now available for only $4.95! Do you like to travel? Do you track your travel time and expenses? Enjoy a frozen treat for your Palm! Drag and drop ice blocks to create rows and columns. Collect trophies by generating massive combos or performing other outstanding feats! Zombie attacked citys of world, and are running rampage! They can infect any human that gets next to them. Soccer is a very popular game with millions of admirers worldwide. 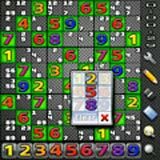 A deceptively simple game of logic, Sudoku is puzzling players all over world. Whether you're new to this fun and addictive game or you're already hooked. The Caribbean Poker conforms to the standard rules that apply in Nevada casinos. Whether you''re a novice or an expert bowler, Bowling Deluxe is the game for you! Multifunctional travel software include Multi-zone clocks, Time Calc, Alarm Clock, Currencies converter, Sizes converter, Measurments converter, Packing list and more at your hand. EasyTour is a high-end program for people who enjoy travelling or whose work deals with frequent trips. EasyTour includes a lot of facilities which you may need both in your trip and everyday life. HealthCalc Pro contains over 50 useful tools with a friendly interface to help you reach and maintain your health and weight. Supports both Metric & Imperial. This is a cool game for all age groups. Your goal is to remove as many balls as possible by clicking on groups of balls with the same color. Sounds easy? Pool Deluxe features great 3D graphics, realistic physics, intuitive controls and smooth gameplay guaranteeing many hours of fun and pleasure. Finally, please also remember that you can buy any one of the thousands of other applications in our Treo Software Store and Centro Software Store at a special price using the 20% off coupon that we’ve created (valid until June 30th). Simply enter the coupon code BESTSELLERS in your cart. [please note that this coupon is not valid for use in the Treo Accessories Store or Centro Accessories Store].